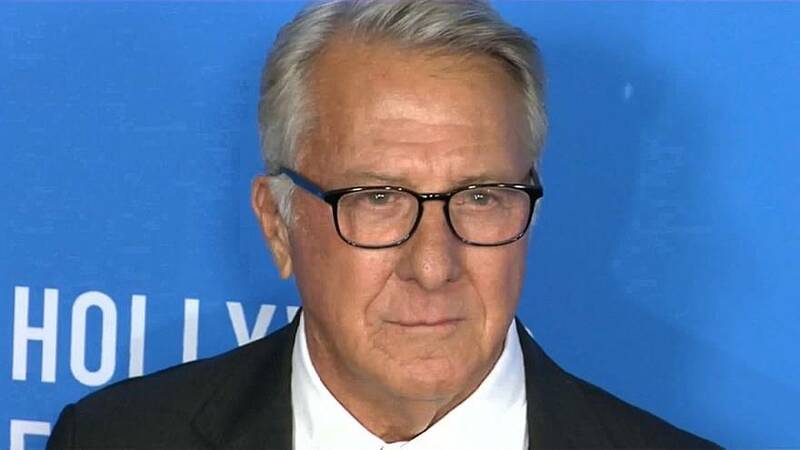 Actor Dustin Hoffman is the latest high profile figure in Hollywood to be accused of sexual misconduct. Several woman have come forward citing incidents which they claim happened when they were young. Cori Thomas was a friend of Hoffman's daughter and was just 16 years old when she says Hoffman exposed himself to her in a New York Hotel. "And he came out of the bathroom, you know, after a few moments, with a towel around him and literally dropped the towel. And I just froze. I'd never seen a man naked in my life." Actress Kathryn Rossetter co-starred with Hoffman in the Broadway production of "Death of a Salesman" and alleges she was subject to night after night of inappropriate touching. "And people go: how was it to work with Dustin? And I tell the half truth which is as an actor working with him... I owe him everything. I learned so much. And then I would stop. And there always be a knot in my stomach about what the real truth was, which is he was abusive and he was a bully." "We have a culture of celebrity and just because you're good at sports or music or acting doesn't mean you're a completely integrated, fabulous human being. You're humanity is different than your work. That might be part of his tragedy. He brings so much humanity to his work and he hasn't quite gotten it completely in his life," added Rossetter. The women say they are determined to shine a light on what they say they endured. Hoffman, now 80, said in a statement last month that he's sorry for "anything that I might have done" and said, "It is not reflective of who I am."